A native of Europe, this biennial has spread across much of the United States because it seeds so easily. In it’s first year it is a small plant, but in the second year it grows to 3 feet in height before it flowers and goes to seed. Well established now in my woodland garden, honesty grows in lovely drifts of purple-flowering plants. Like all members of the mustard family (Brassicaceae), the flowers have four petals. 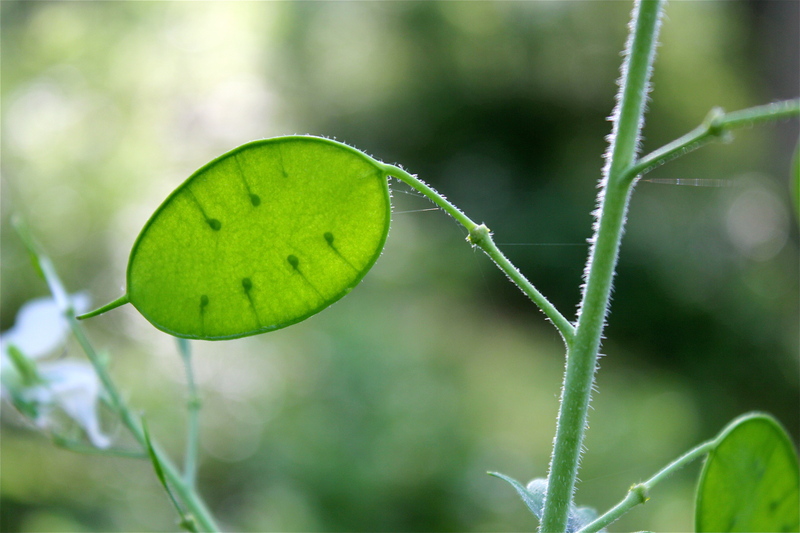 The leaves of Lunaria are roughly heart-shaped with a toothed edge. Bloom time in Virginia is late April and May. The easiest way to identify honesty is by the unique, circular seed pods that form soon after the plant flowers. The shape of the pod calls to mind a coin, hence the name “money plant”, or sometimes “silver dollar plant”. The dried seed pods eventually turn white and provide visual interest in the garden later in the season (see the “fall gallery” below). The pods can also be cut, dried, and used in flower arrangements. 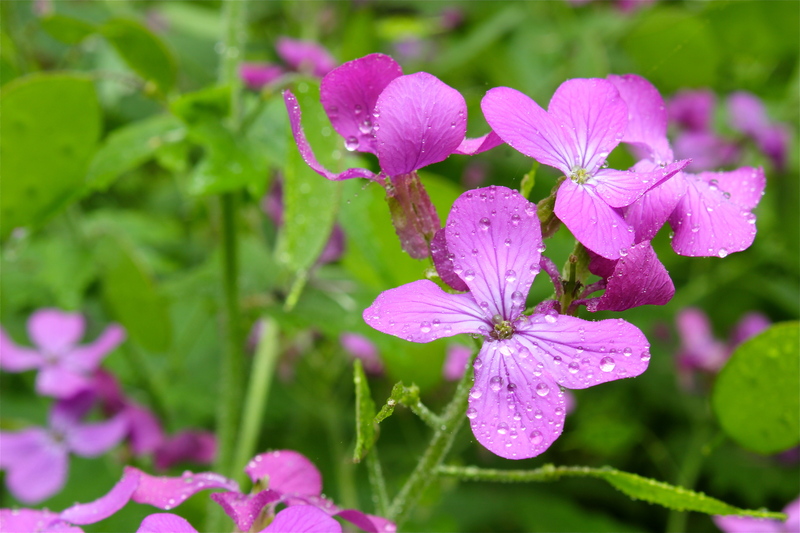 A similar plant with four petals that reaches the same height and blooms in late spring is Dame’s Rocket. Wasn’t on any of the ID sites or in Newcomb’s. A google search led me here- thank you for solving the mystery! Thanks, Gloria! I had one of these blooming unexpectedly by my koi pond. Glad to have some sign of spring!